Please join us at the River Grille for the 4th annual Glam party sponsored by Nawrocki Imports! We will be featuring Drusian Glam sparkling prosecco and a red carpet themed party, so be sure to dress to impress! Formal attire is welcomed but not necessary. A portion of proceeds will benefit SAFE, an organization that helps kids and families with autism everywhere. There will be raffles & donations are greatly appreciated. Come out, dress your best, strut the red carpet & party for a great cause! 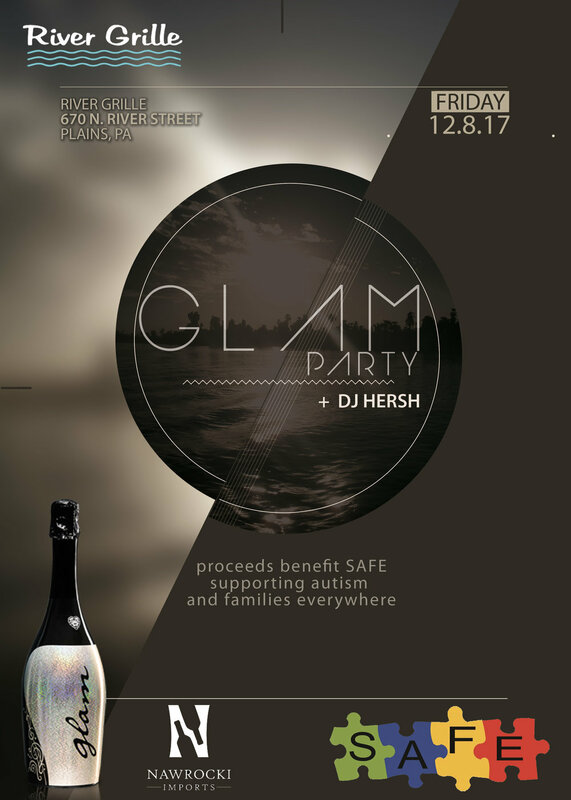 Dj Hersh will be spinning this years event which we are glad to bring to you once again for these great organizations.